This tipi is so cute we wish we could fall asleep in it! Give your pet a unique, cosy and fun place to fall asleep. Super easy to assemble, simply tie the cord around the top of the poles and lay out how you wish. 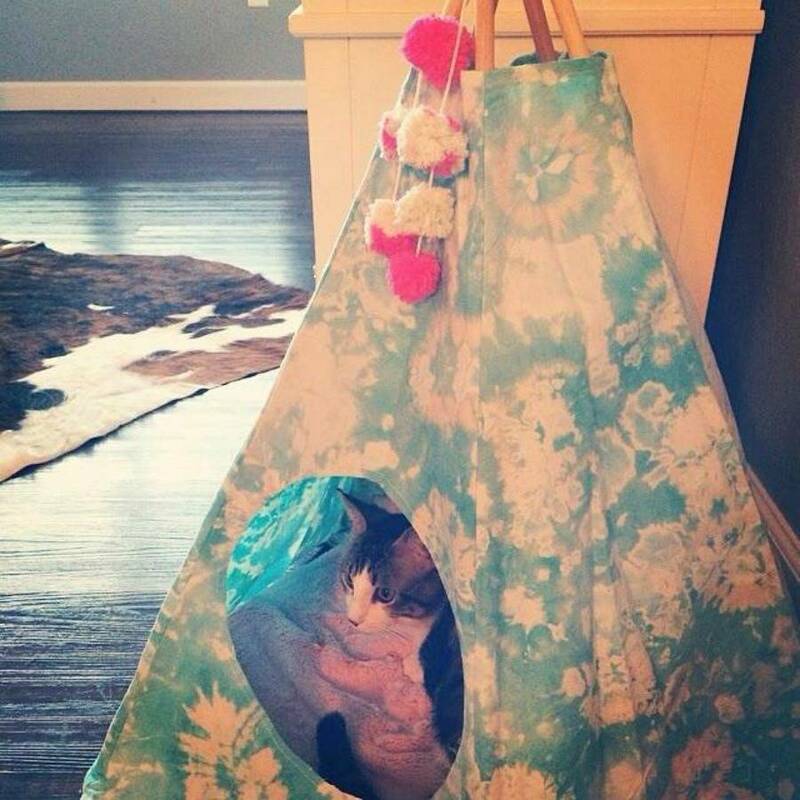 The tipi should fit easily over your pets bed or blanket so they have a snug little den. 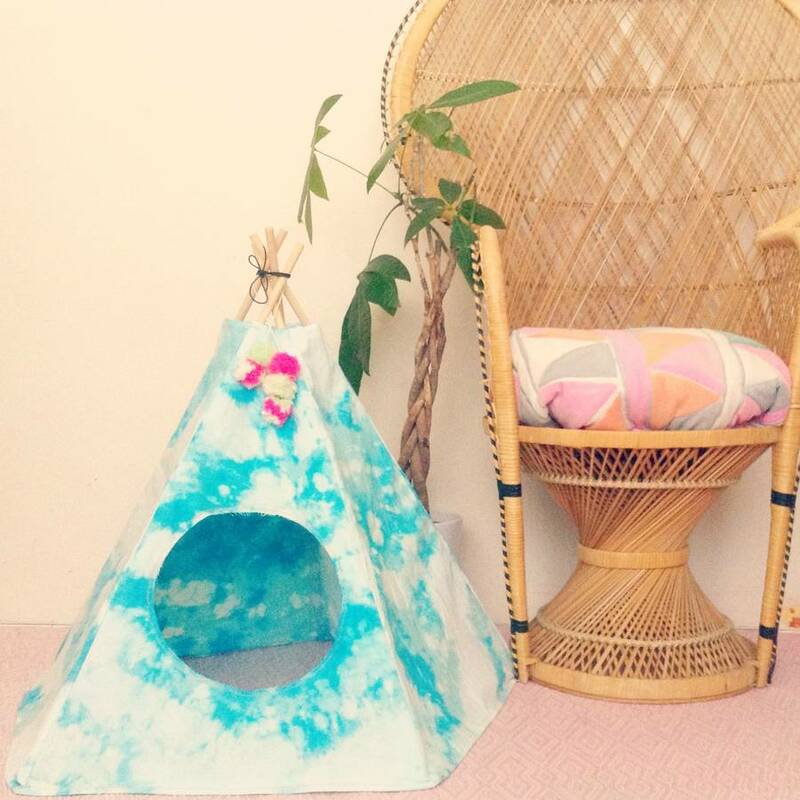 This tipi is an ideal gift for the stylish pet owner, who wants to give their best buddy a unique little home to call their own. This product is available in two sizes dog and cat. We can add personal touches such as monogramming just message us for details. 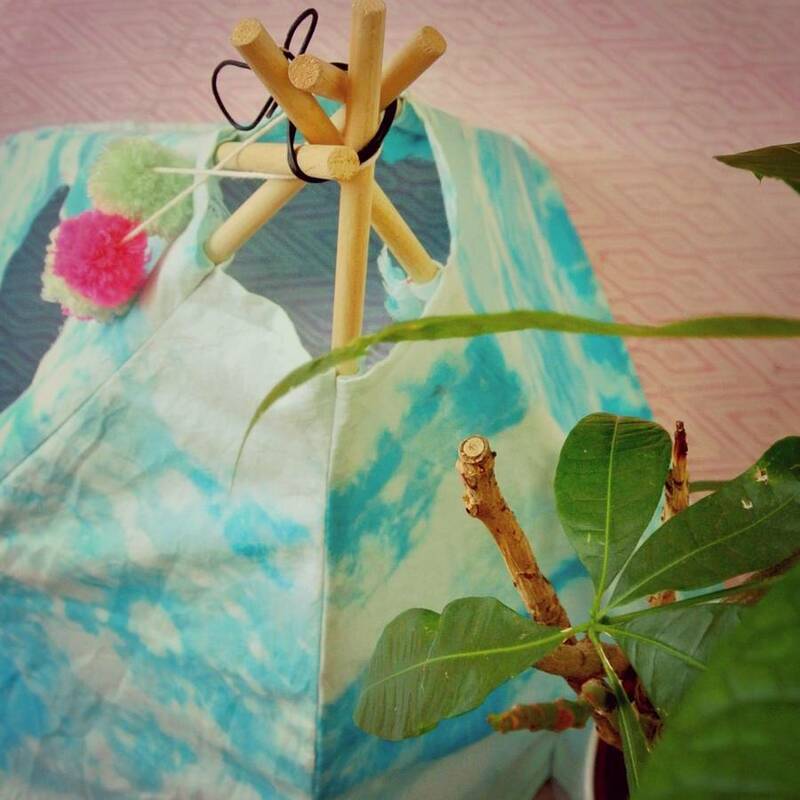 Because of the handmade nature of the fabric we can only make limited runs which makes each tipi unique. 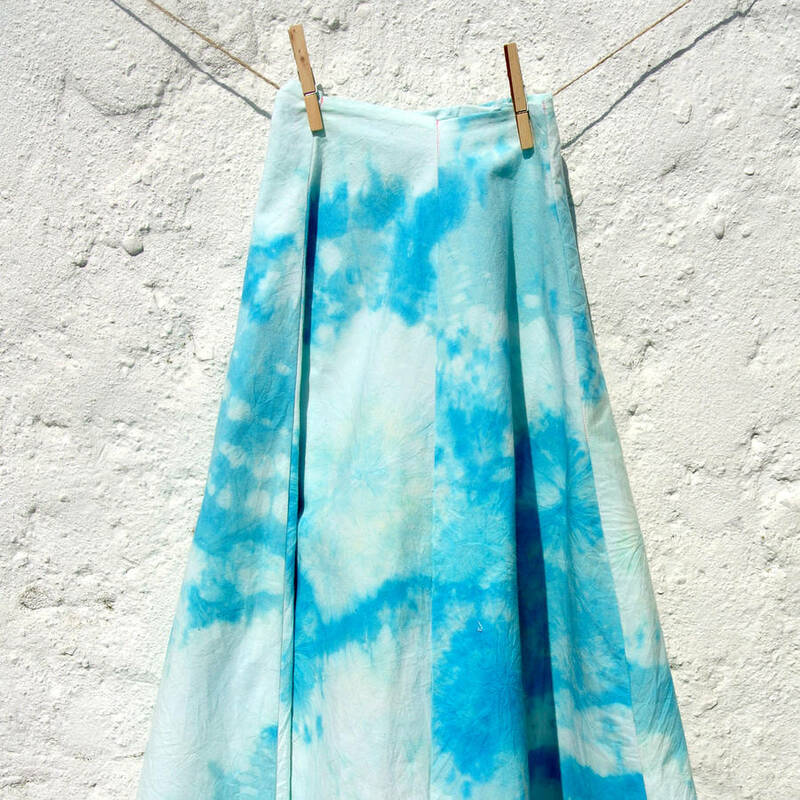 Remove poles and machine wash delicate. 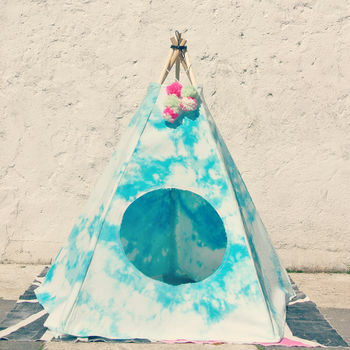 Cat Tipi: Height 77cm including poles. Front width 39cm. 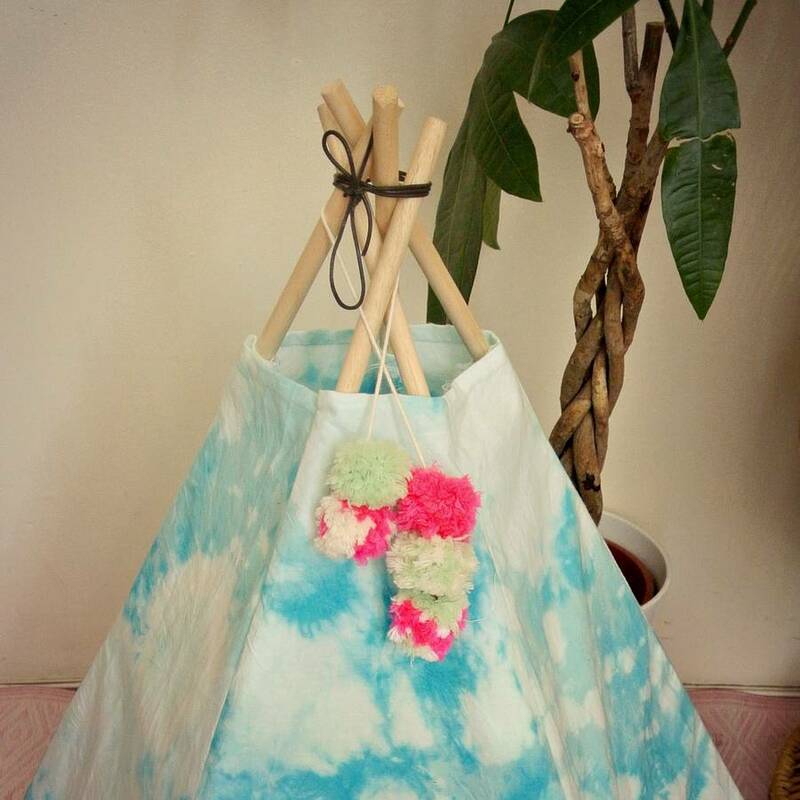 This 5 sided tipi is perfect for cats or rabbits. Dog Tipi: Height 77cm including poles. Front width 47cm. 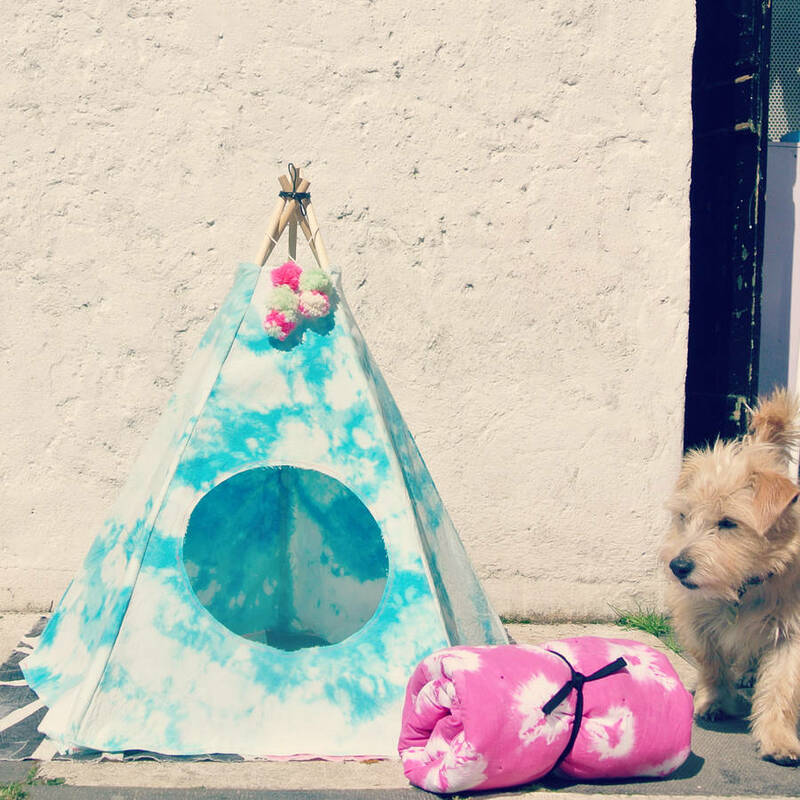 This 5 sided tipi is perfect for small dogs. 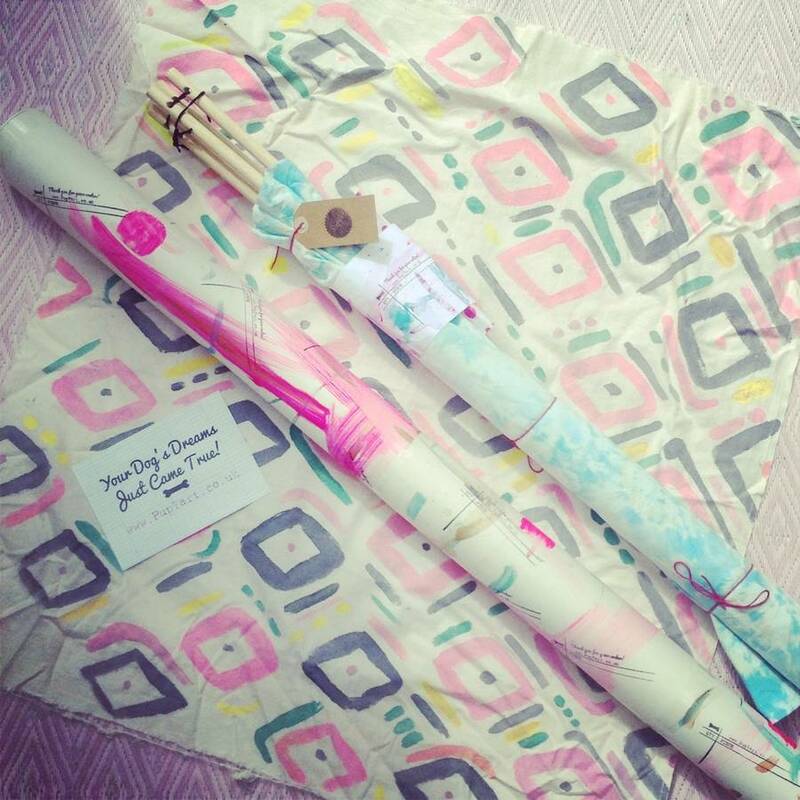 This product is dispatched to you by Pup Tart Handmade.